Maharashtra is located in the Central region of India, on the West Coast. It is also one of the most industrialized states in the country. The capital of the state, Mumbai, is the financial capital of India and arguably the most important metropolitan of the country. Tourism in Maharashtra is an enchanting experience. The state has a wide range of tourist attractions, including magnificent forts, historical monuments, hill stations, and beaches. The city of Mumbai is also a major tourist destination, and millions of people visit the city both on business and leisure purposes. Maharashtra was formed in 1960 when the areas forming the Mumbai presidency under British rule were separated on the basis of language. The predominantly Marathi speaking areas of the erstwhile princely states of Hyderabad, Berar, and the Central Provinces were also included in the newly formed state. 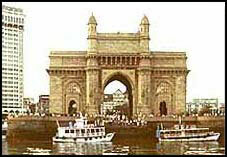 The capital of the state, Mumbai is one of the most populated cities of the world. The city is the financial capital of the country and supports a huge number of people who arrive from all over the country to find occupation. The city is also home to the multi-million dollar Hindi Film Industry. The major tourist spots in Mumbai include the Gateway of India, Elephanta Island, Flora Fountain, Haji Ali's Tomb, Prince of Wales Museum, Kamla Nehru Park, Hanging Gardens, Chhatrapati Shivaji Terminus or Victoria Terminus, Siddhivinayak Temple, Bhuleshwar Temple, Jama Masjid, Mumbadevi Temple, Nehru Planetarium, Nehru Science Center, and the Marine Drive. The city is also known for its famous beaches that include the Chowpatty, Aksa, Juhu, and Marve. The city has some of the best hotels of the country and is known for a vibrant nightlife. Ganesh Chaturthi, a festival involving the principal deity of the state, Lord Ganesha, is celebrated with tremendous enthusiasm all over the state, especially Mumbai. The huge Ganesha idols are dressed up beautifully and adorned with expensive Jewellery. This is a good time to visit the state. The state has some beautiful hill stations in Mahabaleshwar, Matheran, Lonavala, and Khandala. Some ancient Buddhist caves are to be found at various places in the state, most famous of which rae the Ajanta and Ellora caves, which are World Heritage Sites. The cities of Pune, Satara , Aurangabad, Nashik and Shirdi are some of the better known tourist places that make up Maharashtra Tourism. To ensure steady growth of tourism, the government and the tourism department have made adequate arrangements to make the state tourist friendly. Most of the well known tourist places have a wide range of tourist accommodation. The tourism department and private tour operators offer a large number of varied tour packages of Maharashtra which should be availed by the tourists for hassle free tourism in the state. The road network is extremely well maintained and efficient. All the major cities are well connected by air, road and rail transport with the rest of the country. Touristplacesinindia.com offers online information about Maharashtra and other tourist places of India.